A spin-off to the popular Teppei Japanese Restaurant at Orchid Hotel, Teppei Syokudo offers diners the opportunity to customise their own seafood bowl. There are a few branches around, but I'm not sure if all of them offers customisation. The one that definitely does so is at ION Orchard. 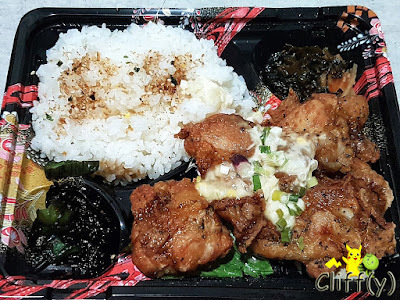 Sizeable chicken chunks coated in egg batter were accompanied by rice topped with furikake (Japanese mixed dried seasonings), seaweed and pickles. While the chicken was pretty tender, I did gripe over the fact that there was an inadequate amount of tartar sauce, which was actually appetising. 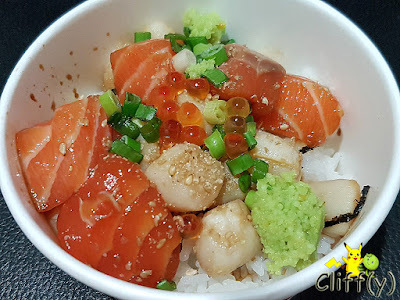 The small DIY bowl allows you to choose two seafood items. I chose salmon and baby scallops to go with the small bowl of rice seasoned with Japanese vinegar. They could be fresher, but not too shabby for sure. The bowl came with garnishes of salmon roe, sesame seeds, spring onions and wasabi (Japanese horseradish). Instead of rice, you can have salad as your base for the DIY bowl with either sesame dressing or sweet onion sauce. I opted for the former as I enjoy its rich and creamy taste, but the amount wasn't that generous. The tuna and whelk could, again, be fresher. In place of wasabi, there was a bit of seaweed as a garnish. 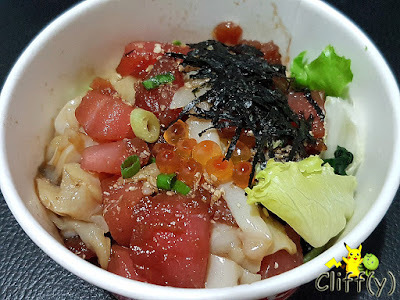 Pika's advice: If you can't decide, you can always stick to their Regular Kaisen Don or Regular Kaisen Salad, each priced at S$16.00. To be searingly honest, I didn't put in a lot of hope in the pork soup. I was pleasantly surprised that the miso (Japanese fermented rice, barley and/or soybean) soup topped with spring onions tasted pretty great. 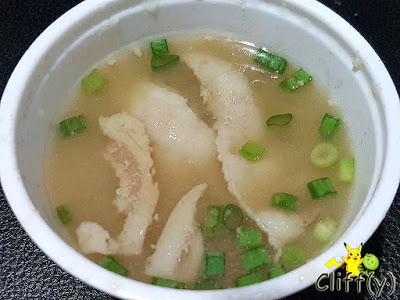 The thinly sliced pork belly added natural sweetness and a bit of oily goodness to the broth. The branch is located inside ION Food Hall.